The team at Flamingo Horticulture South Africa took part on the ‘67 blankets’ campaign as part of the celebrations to mark Mandela day. Mandela Day is an annual international day in honour of Nelson Mandela, celebrated each year on the 18th July, the date of the late president’s birthday. 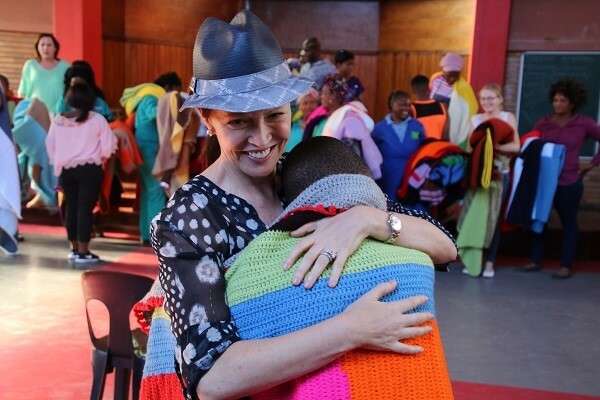 Started when philanthropist Carolyn Steyn was set a challenge by Zelda la Grange (a former assistant of Nelson Mandela) to knit, sew or crochet 67 blankets, with the idea that these blankets would then be distributed to those in need on Mandela Day. 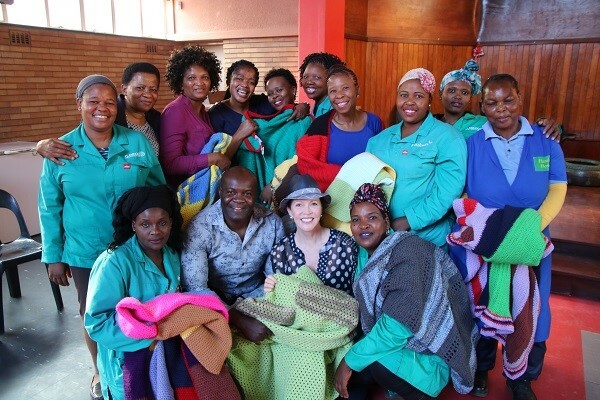 Realising the size of the challenge in front of her and that she wouldn’t be able to achieve it alone, Carolyn called on her friends for help and created a Facebook group called “67 Blankets for Nelson Mandela Day”. 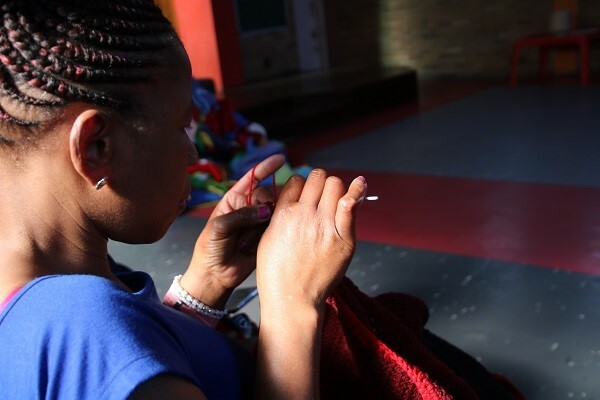 In a matter of days, hundreds of people from around the world had pledged to knit a blanket for Nelson Mandela Day and the campaign has since transformed into a movement that has captured the attention of many people in South African and across the globe. 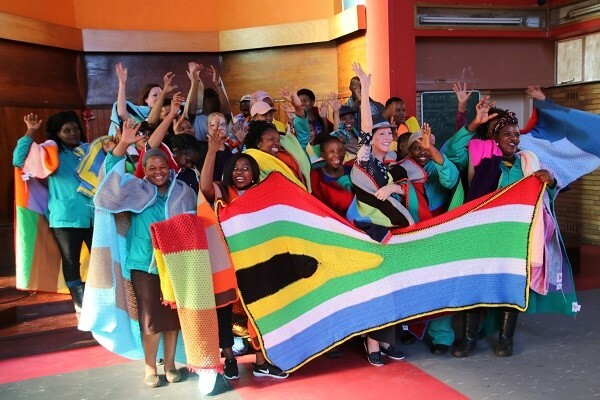 This year, led by members of the welfare committee, the team in South Africa decided that it wanted to get involved and 16 ladies knitted blankets that were donated to Ikusasa Community Development Centre. 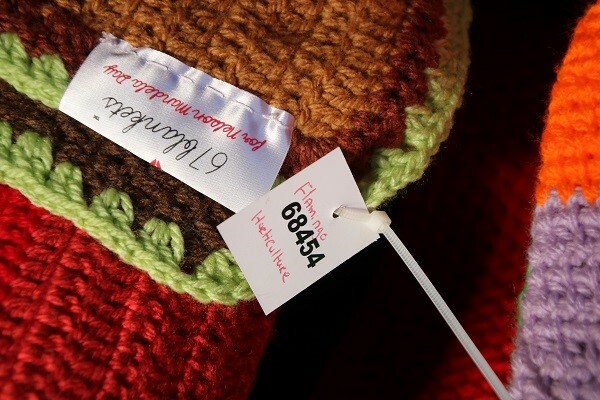 The company supported the venture through the donation of materials but also in allowing the employees some paid time-off to make the blankets and stitch by stitch the blankets were made to help keep thousands upon thousands of people who are less fortunate than ourselves warmer during the winter.